A group of Bay Area dancers will display their skills on national television Thursday evening. A pair of dancers from the Oakland-based AXIS Dance Company will be featured on the nationally broadcast television show "So You Think You Can Dance" Thursday evening. 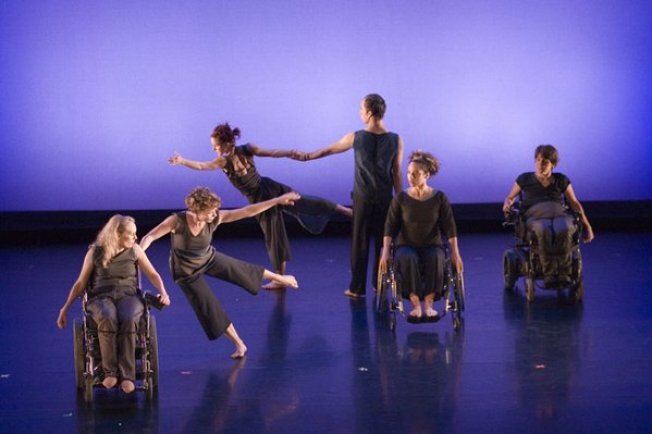 The dance company is known for its mix of dancers with and without disabilities, and Sonsheree Giles and Rodney Bell will represent the company on the Fox show, which airs at 8 p.m.
Giles and Bell will perform "To Color Me Different," which is choreographed by award-winning choreographer Alex Ketley. "We are thrilled that AXIS caught the attention of Nigel Lythgoe," the dance company's artistic director Judith Smith said of the show's co-creator and current judge. Smith called the performance an "incredible opportunity, not only for AXIS, Alex, Sonsheree and Rodney but also for the entire field of physically integrated dance." Under Smith's direction, the company of seven dancers has performed nationally and internationally -- including in Germany and Russia. Giles, originally from New Orleans, and Bell, who began dancing 13 years ago with New Zealand's first mixed ability dance company, Touch Campass Dance Company, are known around the Bay Area for their intense duets. the top ten performances of the year by the San Francisco Chronicle.